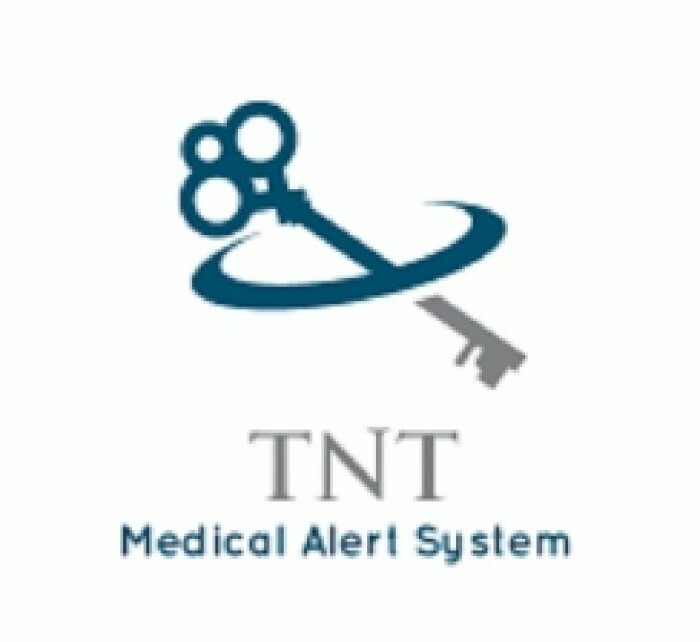 The invention is a comprehensive medical alert system that eliminates the use of a lock box or the need to find someone with a key to gain entrance to a home or apartment when a client is in need of medical assistance. When a person falls or manually activates this system the door is remotely unlocked, which gives 1st responders immediate access when they arrive at the home or apartment. This system prevents the breaking down of a door. 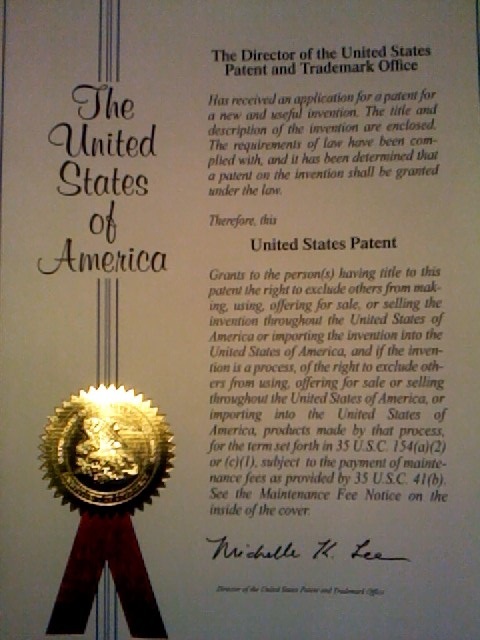 I'm looking to license my patent or sell it, which has an issue date of 24 May 2016. You can ref. 9349268 after that date. This product has a global market. My RD shows that the cost for this product is about $1 above those currently on the market. You can visit my web site per request. 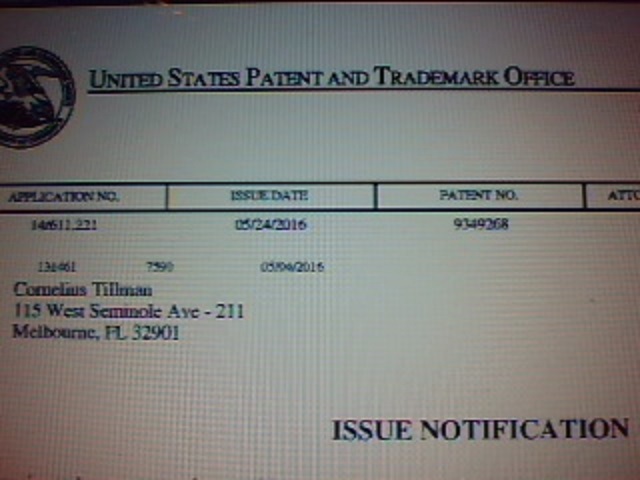 My publication was done under 2015-0356800 A1. The new claim in the publication will be reflected on the issue date. 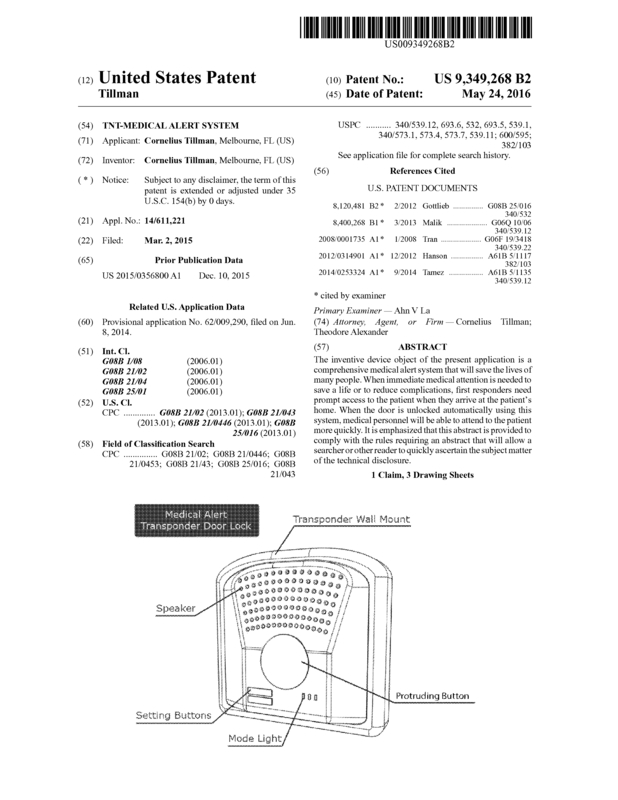 Page created at 2019-04-26 6:43:53, Patent Auction Time.